Tax credits for recording film music in L.A.? 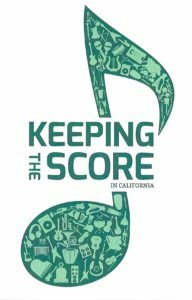 The American Federation of Musicians, particularly its Local 47 and its Recording Musicians Association conference, has been struggling for years to lure recording work back to L.A.; much of it is now done off-shore, especially in London and other European cities, primarily because of the union’s insistence on residuals for studio musicians. Its latest tactic is now before the California legislature in the form of tax credits offered to films made overseas and low-budget independent productions. I explore this plan in a story for Variety; and followed it up a few days later with a report about a music-filled rally the union staged downtown in front of City Hall. This entry was posted in Film Music, Interviews and tagged American Federation of Musicians, California bill AB 1300, Keeping the Score in California, Local 47 AFM, Recording Musicians Association, tax credits for scoring, Variety on August 20, 2017 by Jon Burlingame.